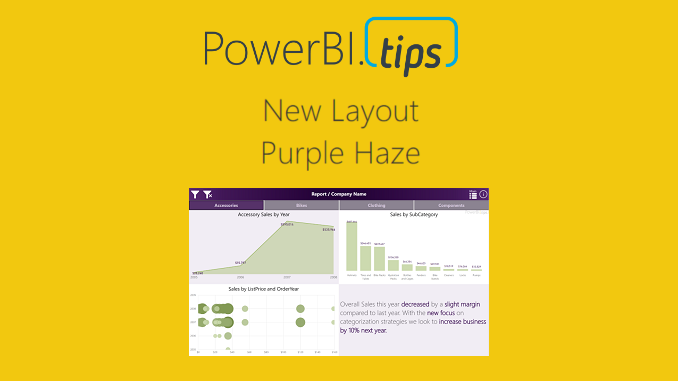 In honor of the 2018 Business Applications Summit, PowerBI.Tips has published a new layout, Purple Haze. Purple Haze is the brain child of Seth Bauer, and utilizes the latest features of the July 2018 Power BI Desktop. In the previous versions of Power BI desktop there was always a header present at the top of a visual. 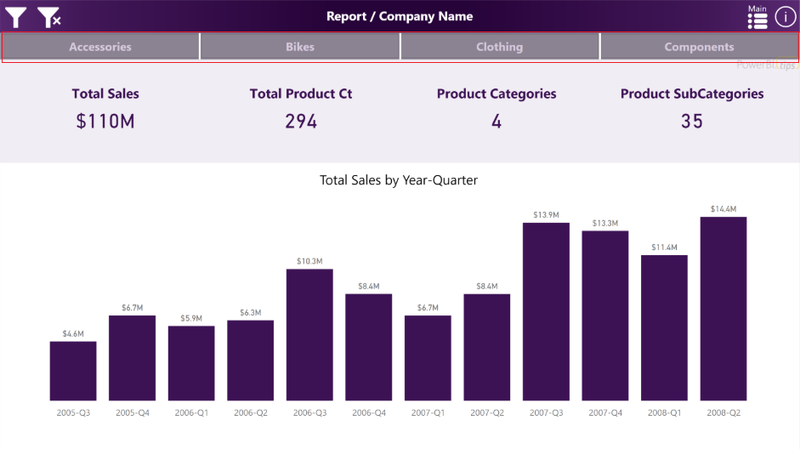 Now, the header is no longer needed, and design elements within the report can extend all the way to the very top of the report page. This is great news for report designers and new possibilities for Layouts. Hit the link to download the Purple Haze layout. The report comes with four (4) pages. In the example the are listed as Accessories, Bikes, Clothing, and Components. By Clicking on these buttons the report navigates to a new page where all the visuals for these topics exist. We hope you enjoy this new free layout. This is the great layout with a light purple color. Keep updating.